We are on the verge of the Fourth Industrial Revolution – where massive amounts of texts, tweets, photos, videos, status updates, GPS coordinates, reposts and clickstreams are being pumped out into the digital universe. This data is like the food for colossal artificial intelligence. If we talk about resources, the ocean that AI-induced data has filled up is nothing if compared to California gold rush, Texas Oil boom or similar events. Huge amounts of data are clogging the digital space all over. Algorithms, based on AI are driving innovation in every field of work, right from products to services, and the more data you possess, the more accurate the algorithm is expected to be. As a result, collection and analysis of big data have become a prime focus of companies, big and small. But how does this mammoth AI works? How does it digest this amount of data? Of course through interconnected, high-end devices powered by embedding “eyes”, named as Deep Learning. These artificial neural networks work on the principle of machine learning algorithms and simulate the complex structure of human brains. Employing mammoth data pools and lakes, deep learning determines and interprets intricate patterns, just the way humans do. In fact, some of the artificial neural networks are so adept at incorporating these patterns that they can even mimic the manner in which humans recognize faces. 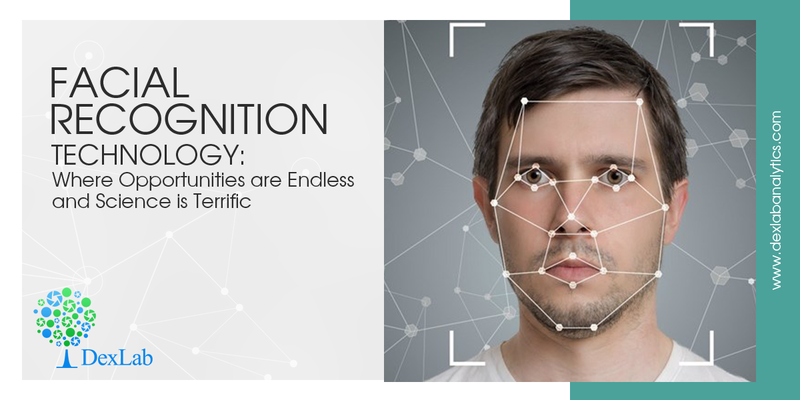 In terms of facial data, Facebook is the largest reservoir of facial data, and back in 2015, it came out with a cutting edge version of “tag photos” feature, DeepFace – it features a nine layer neural network that resembles characteristics in individual photographs with 97.25% accuracy. This fabulous technology not only connects your name with your face, but it can easily pick you out of a crowd, and the figure says a human brain is only 0.28% more effective than DeepFace. Of late, Facebook has acquired a new patent, “Techniques for emotion detection and content delivery,” – it helps in capturing user’s facial expressions through the camera in real time while they scroll across their feed, recording their emotions for various content. This new-age technology can not only customize your Facebook feed, but can also link numerous live in-store cameras for a better shopping experience, piling up data from Facebook and determining the shopper’s present mood and preference. Though Facebook is dominating the waters of facial recognition, there are several other companies that are trying their luck into this domain. Ebookers, a sub-site of Expedia has launched a tool named SenseSational, which employs real time facial recognition software to monitor users’ faces, while they peruse over images and sounds that appeal to the senses. On the other hand, Singapore Technologies Electronics is using facial recognition technology to identify the faces of commuters, as they walk across fare gates and charges their prepaid account respectively. No longer the commuters have to show their fare card while standing in queue; thus it eases the crowd buildup during rush business hours. In conclusion, companies can anytime look up to deep learning from any angle. The giant of artificial intelligence is forever hungry, you can feed it with data whenever you like, and see it expand and flourish. Seeking an excellent data analyst training institute in Gurgaon? Look no further; DexLab Analytics is here. With a wide set of comprehensive Data Science Courses in Delhi, this institute is here to satisfy every data need.